IT systems are crucial for your business. But what happens when they go wrong? Servers being offline, printers not working, viruses and system errors can all cause downtime. Whilst at least some down time is inevitable the problem can be doubled, or worse, when you don’t have an expert in your team to fix it. If you want to ensure that your workforce doesn’t grind to a halt when things stop running smoothly, it pays to invest in experts who can get you back on track quickly and reliably. 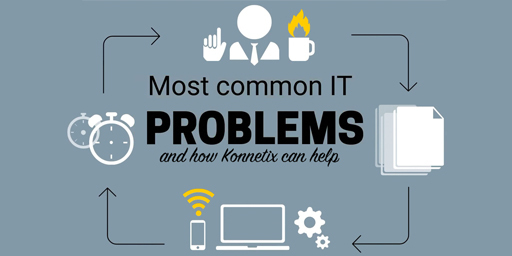 Our latest video outlines some of the problems you might face and how we at Konnetix can help. If you would like to learn more then download our FREE ebook now and speak with us about securing your IT systems.